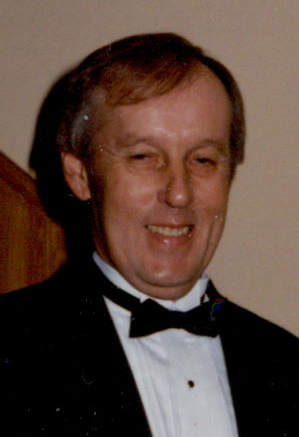 Richard (Rich) Lyle Stout, Sr., 78, of Tipton, entered eternity on Sunday, January 20, 2019 in his home. Funeral services will be held on Thursday, January 24, 2019 at 10:30 am, Cedar Street Baptist Church, Tipton. Burial will be held in the South Bethel Cemetery. Visitation will be held on Wednesday, January 23 from 4:00 to 7:00 pm at Fry Funeral Home. Online condolences may be shared at www.fryfuneralhome.com. A memorial fund has been established in his memory. Rich, son of Glenn and Annie Stepanek Stout, was born on April 28, 1940 in Buchanan, Iowa. He graduated from Tipton High School in 1957 and served his country in the United States Army. He was united in marriage to Mable Ann Lichlyter on December 30, 1966 in the Red Oak Church, Stanwood, Iowa. Rich worked for many years as a loader operator for Wendling Quarries until his retirement on April 26, 2013. He was a member of Cedar Street Baptist Church for many years and a past member of the American Legion. Rich is survived by his wife, Mable Stout of Tipton; his daughter Anita Stout of Iowa City and his son, Richard Stout, Jr of Tipton; his two grandchildren, Veronica (Timmy) Morgan of Indianapolis, IN and Alicia Stout of Erie, IL. ; and his sister, Irene Dettman of Oxford, Iowa, his brother-in-law and sister-in-law, Burt and Charline Thumm of Tipton; nieces, Paula (Kurt) Hilleman of Marshalltown, IA and Pam Schlepfer of East Moline, IL; and nephews, Bernard and Dave Dettman of Oxford, IA . He was preceded in death by his parents, Glenn and Annie Stout; his parents-in-law, Raymond and Lois Lichlyter, two nephews, Mike Dettman and Matt Thumm, brother-in-law, Bob Dettman and his sister-in-law, Marie Thumm.